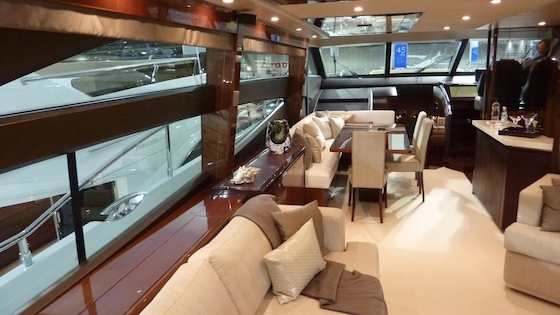 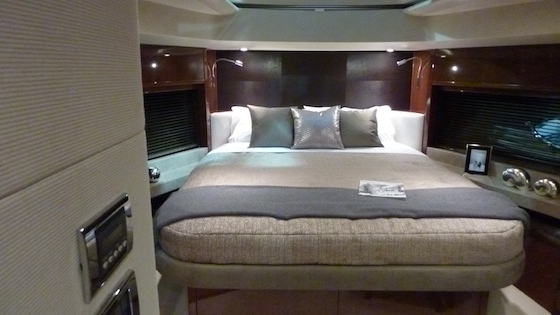 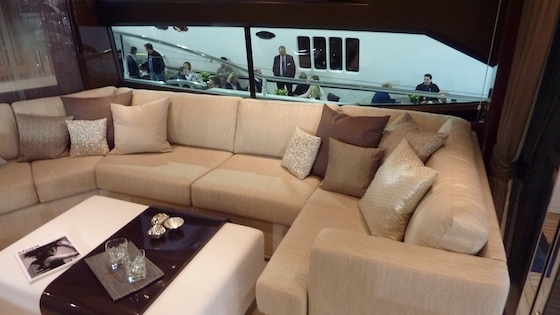 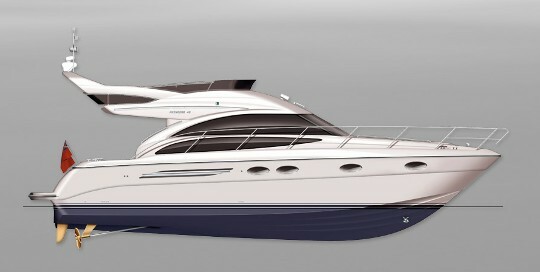 The exterior has the fast-paced aesthetic of many modern motoryachts, but walk inside and life slows down very nicely. 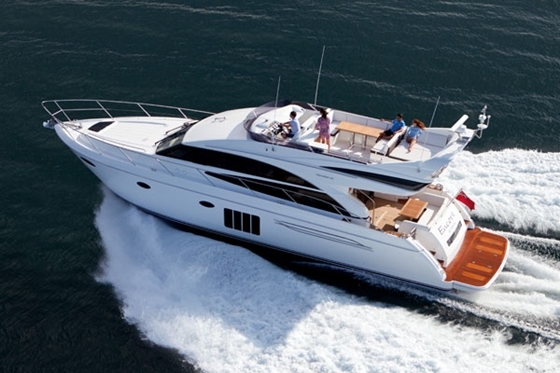 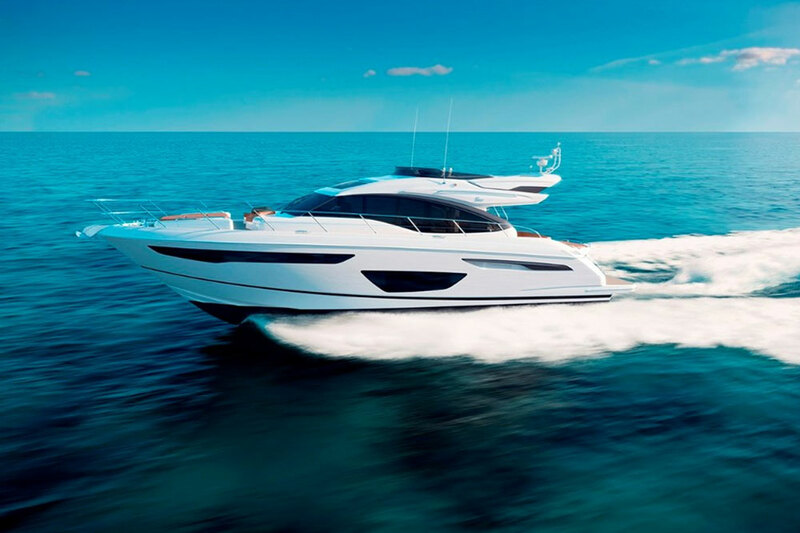 If you're ready to be an adult and enjoy fine living as you cruise, the 72 Motoryacht could be your next boat. 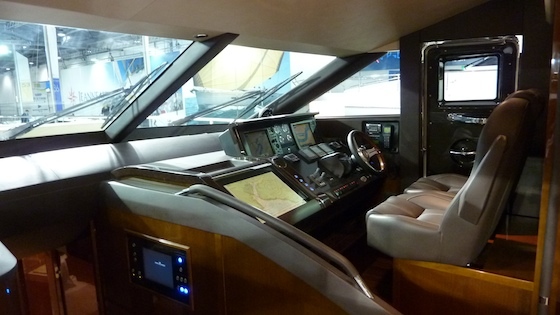 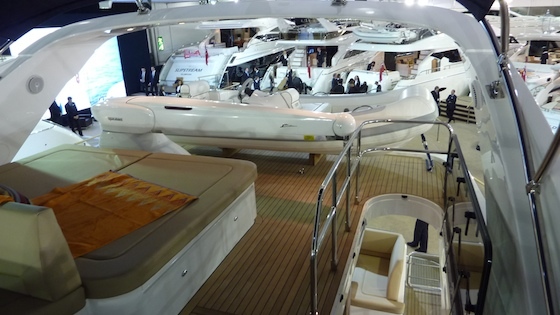 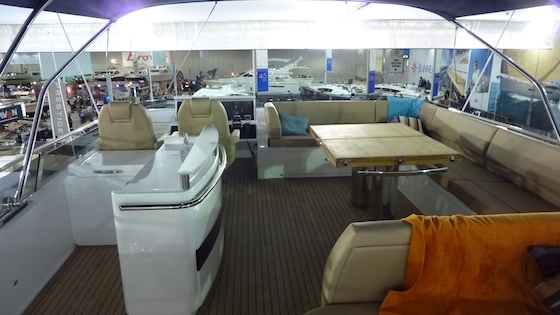 I visited the Princess stand at the London International Boat Show for the 72's introduction, and compared to some new models that are pushing the envelope stylistically, this yacht gave me a calmer, more relaxed feeling the moment I stepped aboard. 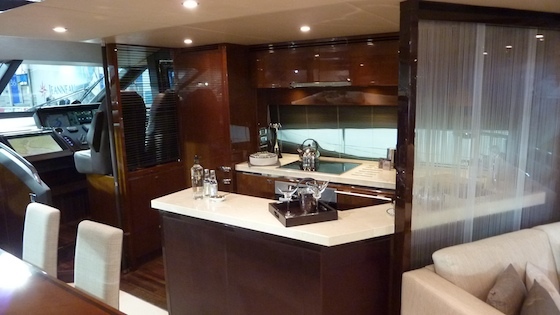 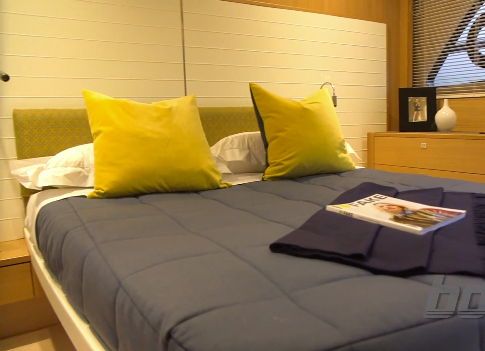 There's a simplicity in the colors, materials, and layout, the latter an unbroken walk-through from after deck to helm station, then down below to the living quarters, which include a large, athwartships master and a VIP stateroom forward. 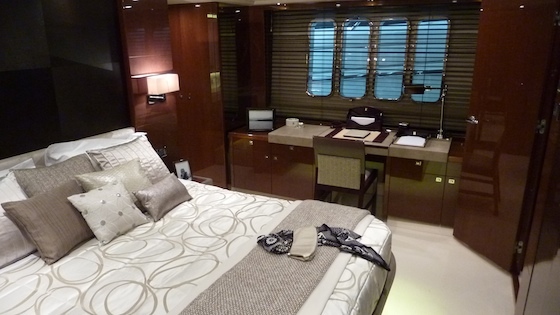 All told, it has four cabins for guests, plus crew quarters aft. 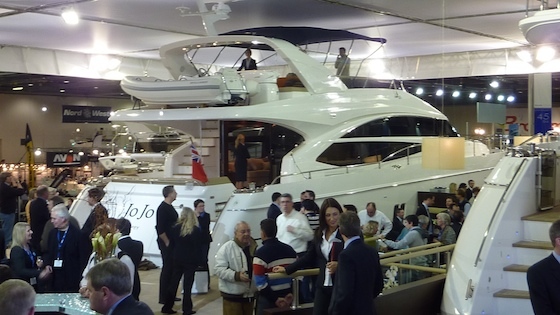 The Princess 72 Motoryacht at the company's busy stand in London. 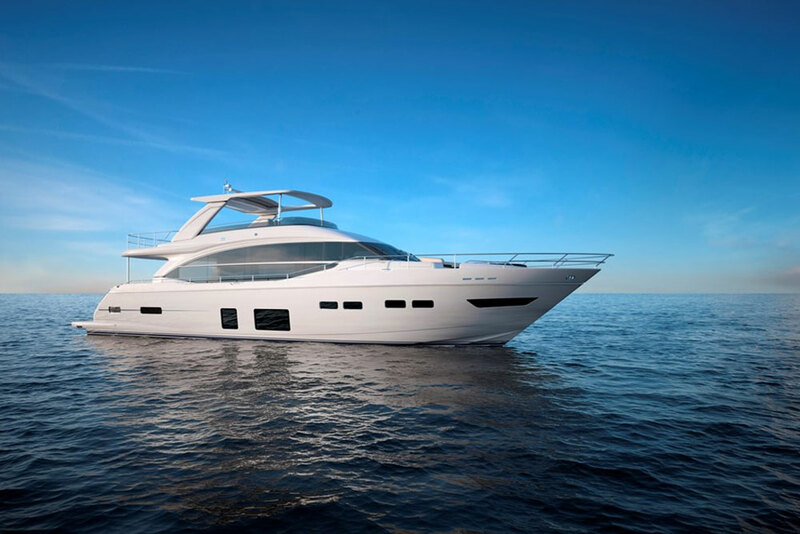 This is a large, powerful boat that, like other boats in the Flybridge Princess line has a deep-V hull and can top 30 knots. 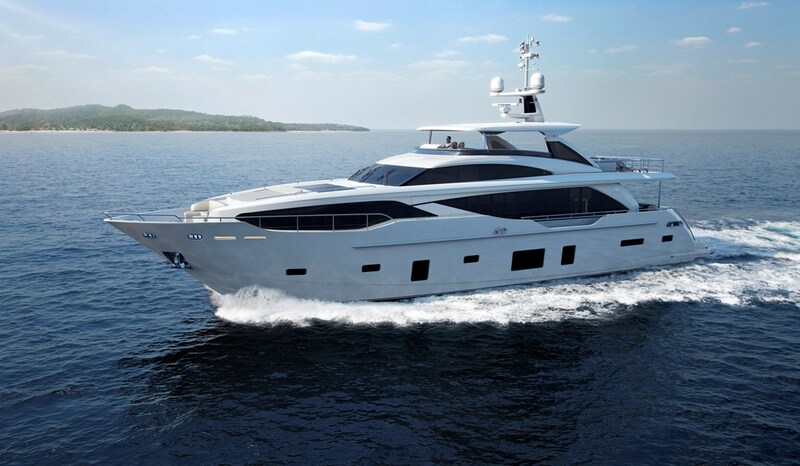 The fiberglass hull is resin-infused, which keeps the weight down and improves the speed provided by twin MTU 10v 2000 M93 diesels.